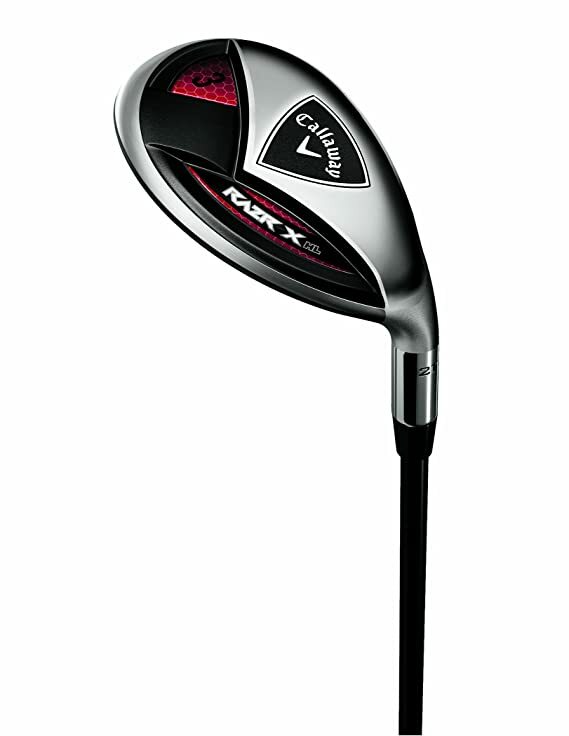 Callaway RAZR X Black irons are designed for the best precision and distance anywhere on the course. The set is optimized for distance, which means a consistent shot and better accuracy. It’s coupled with a Black PVD Finish that makes glare a non-issue. Attack the course with attitude with these fairway woods. 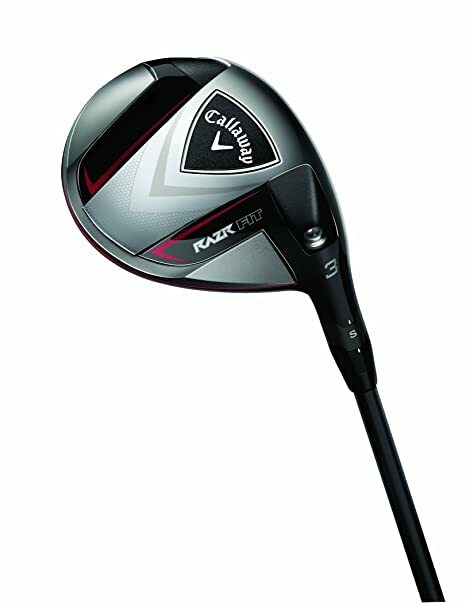 RAZR X Black Fairway Woods create pinpoint accuracy and long distance with the looks and speed for total confidence. The size of the sweet spot is increased and ball speeds are hotter with these fairway woods, due to Aggressive VFT Technology, a large footprint, and a deep face. Dark graphics and a Full-length hosel create a strong look with Traditional Inspired Styling. 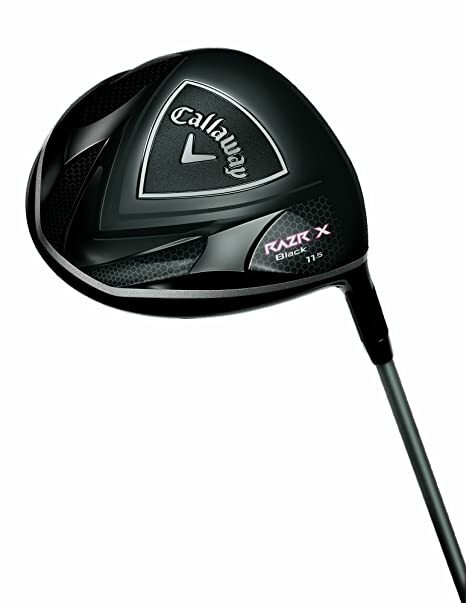 With the RAZR X Black Driver, Callaway has crafted a club that looks just as mean as it behaves. This new driver features Forged Composite material in the crown and Distance Trajectory Weighting that promotes premium conditions for maximum distance in a high launch, low spinning ball flight. 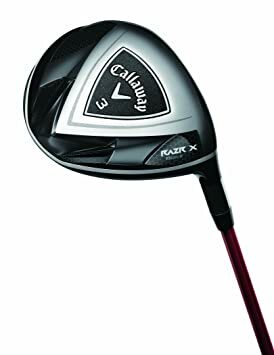 Designed for golfers who want the ultimate in speed and accuracy off the tee, the RAZR X Black Driver also incorporates a Black PVD Finish for a look that’s just flat-out, head-turning cool. 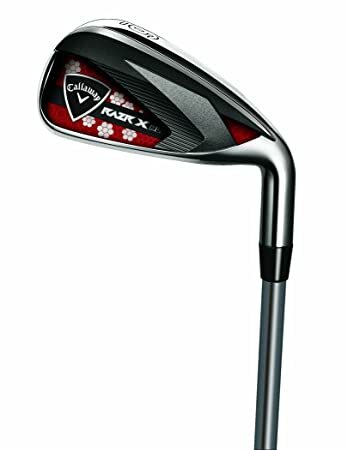 The Ideal Combination of Distance and Accuracy These game-improvement hybrids are designed to be highly versatile clubs that help amateur golfers hit higher, longer shots that fly straighter, even on miss-hits. The clubface utilizes a Zero Roll Design that increases distance with softer landings while Vertical CG Optimization allows for a lower CG. Inertia Driven Design creates exceptional forgiveness and includes an increased hosel offset that helps square the clubface at impact. RAZR X HL Hybrids are also available to be purchased with RAZR X HL Irons. Features: Zero Roll Design Clubface with Zero Roll produces a higher launch angle on shots hit low on the face, increasing distance with softer landings. Aggressive VFT Technology Precision shaping of the face thickness in each club increases the size of the sweet spot. This technology generates hotter ball speeds for longer distance. Vertical CG Optimization Thin crown allows for a lower CG, putting it in-line with where most amateurs strike the ball on the clubface. Vertical CG Optimization also promotes high, strong trajectories that fly farther and land softer. Inertia Driven Design Clubheads have a slightly larger footprint for a high MOI and exceptional forgiveness. The increased hosel offset helps square the clubface at impact while providing a look at address that boosts confidence. 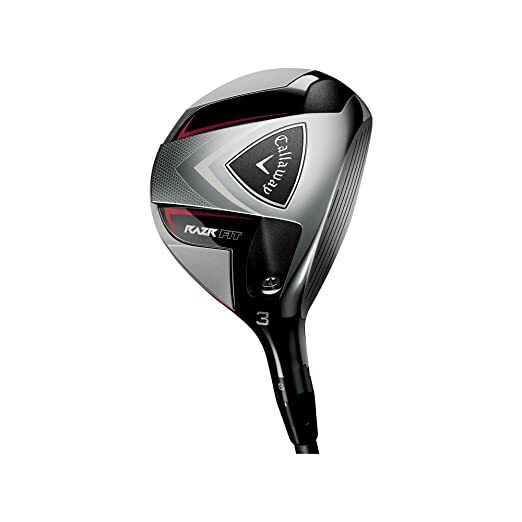 Tour-inspired fairway woods with a full length hosel and OptiFit Technology Callaway’s adjustable face angle. Players of all skill levels will appreciate the optimized ball flight, traditional shape, and improved trajectories and accuracy from the fairway or the tee. Accuracy Now Goes Farther Than Ever Taking accuracy, distance and forgiveness to new highs, RAZR X HL Irons have a low center of gravity so golfers can launch shots higher, even on impacts low on the clubface, so golf balls fly consistently longer and land softer on the greens. 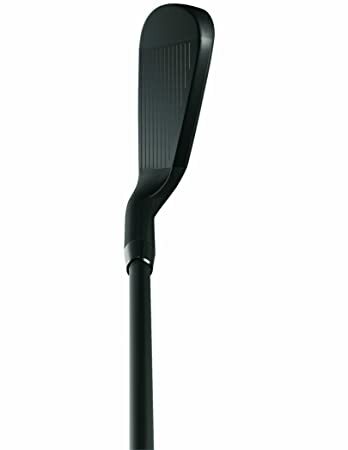 RAZR Technology makes the sweet spot more accessible at lower impacts, where most golfers tend to hit the ball. Customized Set Options are also available for golfers who want to substitute RAZR X HL Hybrids into their set.